Article by Carmel Harrington ©. Gaynor is one of my go to authors. She reignited my love of historical fiction, because she makes it so accessible. 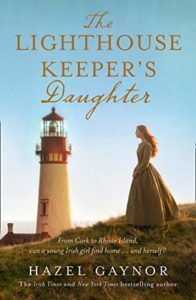 The Lighthouse Keeper’s Daughter is deeply moving and absorbing, beautifully written, with passages that will stay with you long after the final page. Gaynor once again skillfully breathes life into true events that will capture your head and heart. It’s no surprise to me that this book spent five weeks in the Irish Bestsellers charts. Buy this book! I loved it. 1838: when a terrible storm blows up off the Northumberland coast, Grace Darling, the lighthouse-keeper’s daughter, knows there is little chance of survival for the passengers on the small ship battling the waves. But her actions set in motion an incredible feat of bravery that echoes down the century. 1938: when nineteen-year-old Matilda Emmerson sails from across the Atlantic to New England, she faces an uncertain future. Sent away in disgrace, she must stay with her reclusive relative, Harriet Flaherty, a lighthouse keeper on Rhode Island. Once there, Matilda discovers a discarded portrait that opens a window on to a secret that will change her life forever. 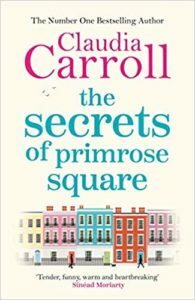 I laughed out loud then felt my heart break too as Claudia unravelled the complex lives of the residents of Primrose Square with her trademark warmth, wit and wisdom. This is a special novel and I loved it. I fell in love with all the residents and I hope that we have not seen the last of this wonderful cast of eclectic characters. I particularly loved Jayne and Eric and I found the horrible Irene and Jason hilarious! I am curious about the Sam Williams Snr and Jnr and wonder if there will be further insights into their father and son relationship! But most of all I was impressed with the handling of the raw, visceral grief of Susan. And the strength of little Melissa. Another must read! 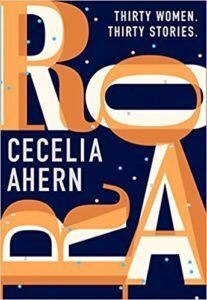 I’m a fan of Cecelia’s books and have been right from the beginning. Her books are original, emotive, dark and yet remain endearing. I wasn’t sure what to expect from her collection of short stories. So it was a gorgeous surprise that I discovered that not only did I love each story, I also connected in some way with the thirty women depicted. Early mornings are busy in our house getting the children ready for school. One moment the house is full, loud, chaotic, funny, then its quiet. That signals the start of my writing day. A new ritual emerged when I started reading Roar. For thirty days I read a new story as I ate my breakfast. They became the perfect accompaniment to my poached eggs on toast and introduced me to a new, gentler, kinder start to my writing day! I loved this collection and have already bought a couple of copies for Christmas gifts this year. At the An Post Irish Book Awards recently, Emma received a special recognition award, presented by the legend that is Cathy Kelly (The Year that Changed Everything – a gorgeous read!) While I cheered at this acknowledgement, much deserved, and if I’m honest wept too, I wish Emma had won an award for her writing too. Her books are uplifting and inspiring and that’s no surprise really. Emma’s life, not just her battle with cancer but also her wonderful exciting roller coaster of a life with her family and friends, gave her a unique, vantage point of the many ups and downs of living. It’s this, instilled into each and every word in her books that makes them so wise, warm and witty – all the W’s! Emma’s books always make me pause and think, then feel grateful for the life I live and the family I have. This is no exception. Some books are guaranteed to break your heart – and put it back together again. Letters to my Daughters is one of those wonderful books. Throughout their lives, the three Brady sisters have always been closer to their nanny May than to their own mother, Martha a busy midwife. 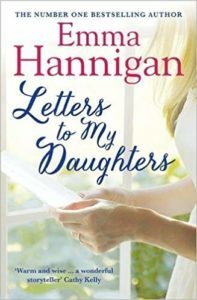 May always thought of them as her daughters so when she dies suddenly, the sisters are left devastated — especially when they learn that letters intended for them from May with final words of advice and love have gone missing. As they gather for the reading of May’s will in Dublin, they must face some life-changing decisions. Will they ever learn the words of advice May had for them and discover who took the letters? Letters to my Daughters is a spellbinding story about the complicated bonds between women — daughters, mothers, sisters — and how love and happiness comes in many guises. A double winner at the recent An Post Irish Book Awards, which everyone expected but Liz! I have read and loved all of her books. 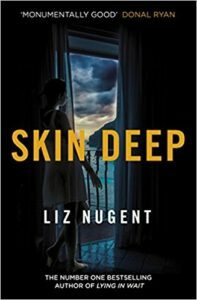 She is an extraordinary writer and Skin Deep is her darkest novel yet. I picked this up one Saturday morning and didn’t put it down until I’d finished. Brutal, raw and twisted, I became emerged into the world of Cordelia in an instant. She got under my skin, made it crawl once or twice and also made me sad, as Cordelia’s truths were unravelled by Nugent with such devastating skill. I particularly liked and was equally horrified by the horror element of the mythical tales included. Brilliant. 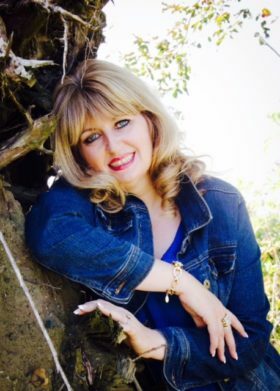 Carmel Harrington is an award-winning author from Co. Wexford. Her seventh novel, A Thousand Roads Home is an uplifting and inspiring story about three ordinary people who do an extraordinary thing. 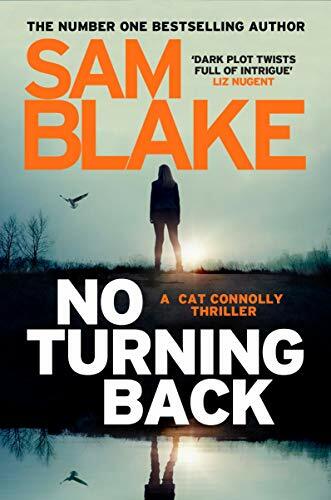 Other books include: Sunday Times Bestseller and Irish Book Award Shortlisted Popular Fiction Book of the Year The Woman at 72 Derry Lane (Harper Collins) which remained in the Irish Trade & Mass paperback charts for twelve weeks, reaching no. 2! And the UK Top 20 Bestseller, Cold Feet The Lost Years (Hodder & Stoughton), an official ITV novel based on the popular TV show Cold Feet. Irish Book Award shortlisted novel The Things I Should Have Told You (HarperCollins), Every Time A Bell Rings (Harper Impulse), The Life You Left (Harper Impulse) and Kindle Book of The Year & Romantic eBook of the Year Beyond Grace’s Rainbow (Harper Impulse). Her page-turning novels are published worldwide in twelve territories, translated into eight different languages. She is a regular on Irish TV, as one of the panellists on Virgin Media’s Elaine show and previously on TV3’s Midday show. She has been interviewed in the UK on BBC, in the US on WNDU TV plus on many Irish shows, including Ireland AM, The Morning Show and The Today Show. Radio interviews include RTE’s Ryan Tubridy show and BBC Ulster. She writes feature articles for many newspapers and magazines. A popular keynote speaker she has given talks in Ireland, UK & USA. Carmel is one of the co-founder’s of The Inspiration Project alongside writing pals Hazel Gaynor and Catherine Ryan Howard. She also co-founded Wexford Literary Festival and was Chair of which from 2015-2018.